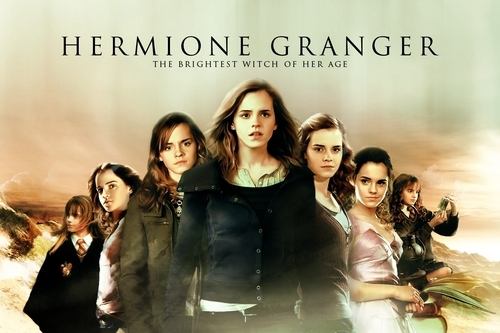 Hermione Granger 壁紙. . HD Wallpaper and background images in the ハリーポッター club tagged: harry potter cast emma watson deathly hallows various. Very cool. Like the idea. You should do one of Harry and Ron too.